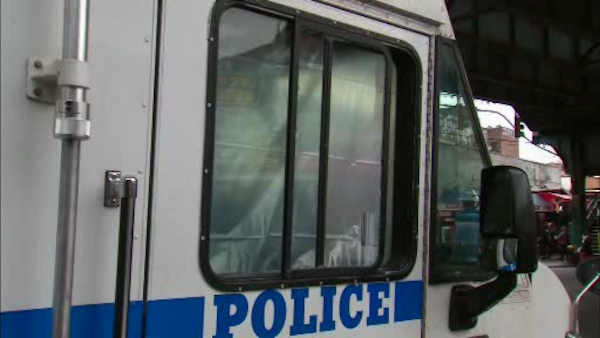 CORONA, Queens (WABC) -- The window of an NYPD van was shattered by shots fired from a BB gun in Queens. Police say several shots were fired at the van at about 8:30 Monday night while it was parked at 103rd Street and Roosevelt Avenue in Corona. One of them struck the side and shattered the passenger side window. There were officers inside the van, but no one was injured.